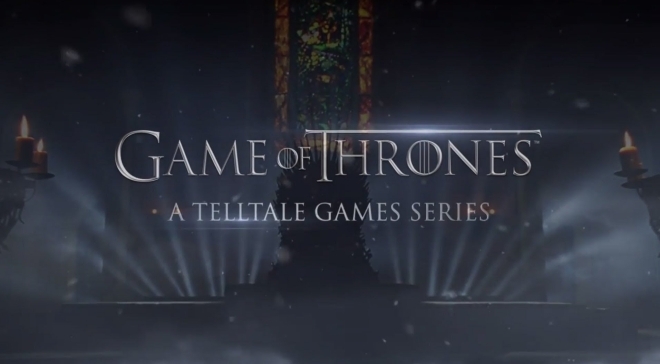 Game of Thrones follows the episodic release nature of Telltale games and tells the story of House Forrester that happens concurrently with the fourth season of the eponymous TV series on HBO. 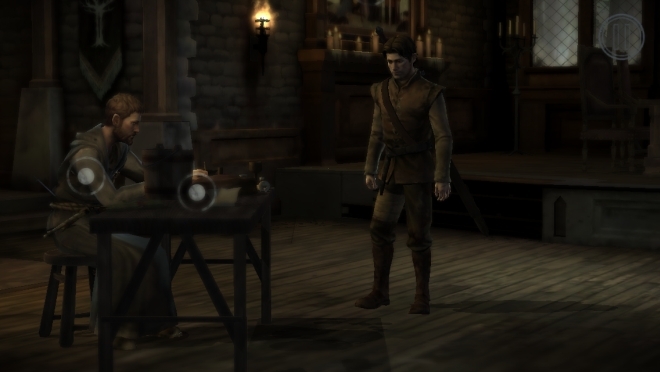 Telltale released the first episode – Iron from Ice – on the PC, consoles, and iOS, and as usual we are talking a look at the mobile version today. 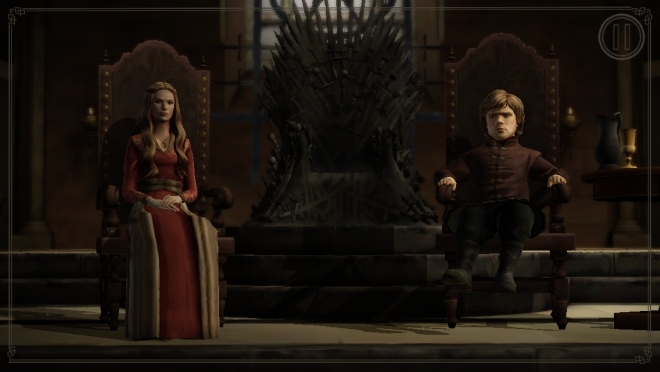 Game of Thrones follows the usual point and click adventure style gameplay of Telltale games. 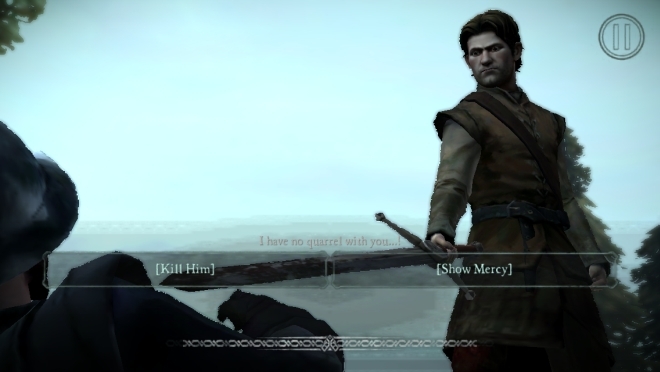 Most of the interaction in the game happens through text, where you choose what the person you are playing as says. What you say often has an impact of how the story unfolds and your actions and words can change the course of the events that follow. Apart from clicking on text, there are also several quick time events in the game, where you have to swipe in the right direction as indicated by the arrow, or tap on a particular target, often multiple times. Lastly, there are instances where you just have to move around and interact with highlighted objects on the screen. The first is usually the most enjoyable. Choosing the right thing to say is often difficult and knowing it could have severe ramifications later makes it that much more interesting. You can’t just go back to what you said and you have to stick to it till the end. You could just end up starting a war or take the life of an innocent man by choosing the wrong option. This is one of the things I love about Telltale games. You may not be controlling the characters directly as in other games but you feel like you have much more control over the outcome of the game and not just going where the game tells you. That the game wonderfully flows between interactions regardless of your choice only makes the whole thing seem organic and natural. The quick time events are also fun. At times it was hard to see the arrows on screen but when done right your character will quickly dodge his or her way out of trouble. Once again, you could get yourself hurt or killed here and that will also change the outcome of the game. The movement part is the least interesting. As with the previous games, it was mostly designed to be played with a joystick and doesn’t seem as natural as the tapping part on a touchscreen. There is thankfully not a lot of moving around in the game, which is good, but these sections are often the slowest and least exciting. Overall, the first episode did seem pretty good. After a while it stopped seeming like a game and more like just another episode of Game of Thrones, but one where you have some control of what’s going on and what can happen. The story and characters are also quite good. 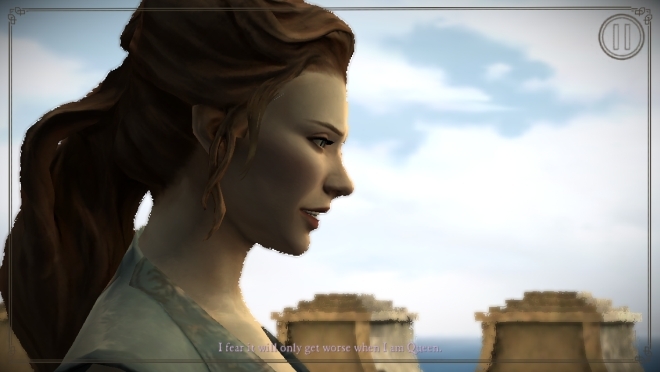 The game sees some of the characters from the show, such as Margaery Tyrell, Cersei Lannister, and Tyrion Lannister. That these actors are voiced by the same people who played them on the TV show makes it that much better. A lot of the goodwill that the game generates from its gameplay is lost here. 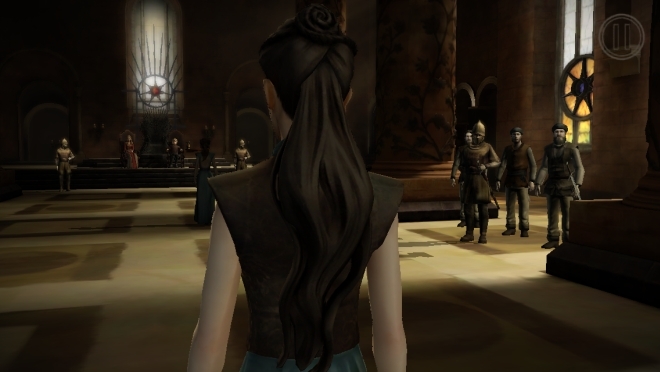 I cannot stress just how bad Game of Thrones looks on iOS. The textures are a complete mess, the aliasing will cut your eyes, and the framerate is all over the place. On the iPhone 5s, the game ran at around 20-30 frames per second and on the iPad Air it was consistently below 20fps, to the point where it was unplayable. From what I’ve heard, things are not any better on the iPhone 6 or the iPad Air 2 either, so it’s precisely the game’s fault for not just running at a horrible framerate but while looking as bad as it does, which makes it even more frustrating. The sound had issues too. Several times the audio would clip or repeat itself during certain portions of the game. Thankfully, that was the extent of the audio problems, as otherwise it was great. The game features the beautiful theme music from the show with the same CGI animation showing the different kingdoms, except this time rendered real time in the game engine. The voice acting was also superb, with the cast from the show in particular doing an incredible job. Although it’s just the first episode, with five more to follow, Game of Thrones looks like it is going to be an interesting adventure. 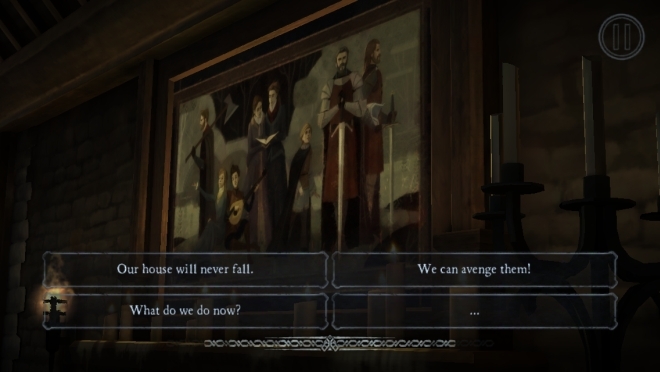 It’s hard to recommend this game to those who haven’t read the A Song of Ice and Fire books or at least watched the show because the game wastes no time explaining the events and assumes you are familiar with what’s going on and who the characters are. Longtime fans, however, should take a look at it. Unfortunately, there is one good reason why you should not buy this game on iOS, and that is atrocious graphics. I’m not sure if this will be fixed in a later update and I hope it does but as of now it’s better to play the game on PC or consoles.